Envisions serves Mansfield, Ontario, Galion, Lexington, Mt. Gilead, Delaware, Columbus, Dublin, Wooster, Central Ohio, North Central Ohio and all surrounding communities. We will go where you need us! Envisions is a professional hard working company. We have a courteous staff and we will get your job done fast with perfection. We are fully insured with Liability & Workman’s Comp. At Envisions we are one of the only companies that offers “Free In Home Computer Image Design” at no cost to you other companies will charge you. Envisions will design your landscape in front of your eyes on a laptop computer and welcome your input in the design process. 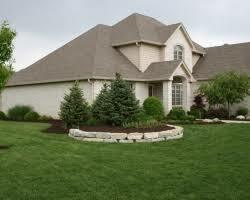 Envisions Landscape offers residential or commercial landscaping with over 27 years of combined experience. New or total landscape renovations or yard installations (Seed, Straw,Fertilizer or Sod, Hydro-seeding is also available), Plant installations ( Perennials, Annuals, Shrubs and Trees). 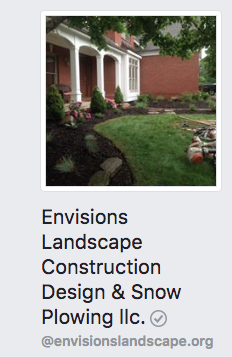 Envisions Landscape is very experienced in all aspects of landscaping including construction landscaping including, hard-scapes, retaining walls, patios, walkways, natural stone, concrete blend wall-stone, brick pavers, (Techo-Bloc, Pave-stone, Belgard, Uni-lock) Whatever you are in the market for. Envisions is very skilled in Light Excavating, Concrete cutouts, Concrete removal, Drainage swales, Finish grading, Drain installations, and Finding Solutions to any water or drainage issues you may have. Envisions Water-scaping will build beautiful water features, Koi ponds, pond-less waterfalls and natural looking streams. Envisions night-scaping will install various landscape lighting, floodlights, walkway lighting & accent lighting. Envisions will handle any size project with perfection and as always your needs are always our priorities! 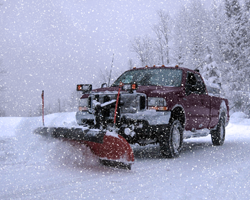 Envisions offers commercial and residential snow plowing and ice removal with 24-hour emergency service. 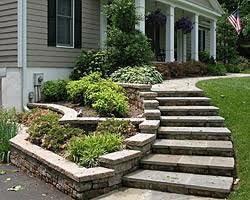 Envisions will design and personalize your landscape and you will be able to input your thought and ideas with a salesperson/ designer right at your kitchen table to meet all of your specific wants and needs. You will be able to see your landscape built before your eyes and there will be absolutely no guessing at what the final project will be. You make an appointment with the us, then we arrive to take multiple photographs and input it to our computers. Next we take the laptop to the front porch or kitchen table, and create the design interactively with you the customer. Then we give you on the spot bid. The customer decides to accept the bid, then we collect a check for down payment of the total amount. If the job is small, we will paint the bed-lines before we leave the property. All that's left is the installation.